After the so-called Season Eight “mid-season finale,” The New York Post would be calling showrunner Scott M. Gimple “The Gimp” with headlines like “Gimp Must Go” and “Gimp Can’t Walk The Walk.” As it is, some 60,000 fans and counting were calling for Gimple’s head on a pike—spoiler alert—because he allowed the teenager Carl Grimes, played with tenacity by Chandler Riggs, to get bitten by the zombie “walker,” a death sentence in such an ambulatory, apocalyptic universe. Not long after, The Gimp was in fact kicked upstairs as Chief Content Officer of the zombie franchise on television. He will be imminently replaced by series Executive Producer and writer Angela Kang as “The Walking Dead” showrunner starting with Season Nine—but not before the Season Eight mid-season premiere became the lowest of its kind, with only 8.3 million viewers, comparing unfavorably to the high point of such mid-season marketing, when 15.8 viewers watched way back in 2014. The ratings for Season 8 as a whole are also the worst since Season 2. The show’s decline that has become precipitous since the double-homicide opener in Season 7 when Glenn was (finally) killed along with Abraham—“eeny, meeny, minee, moe”—by bad guy Negan. Keep in mind “The Walking Dead” on AMC is still the highest-rated show in cable television and that size does matter. Gimple has been a writer on the show since 2011, and the showrunner since Season 4, so he can claim major credit for the massive popularity of AMC’s tentpole drama. But the mid-season finale is a sign of the core problem: almost half the audience has disappeared because “The Walking Dead” refuses to die. 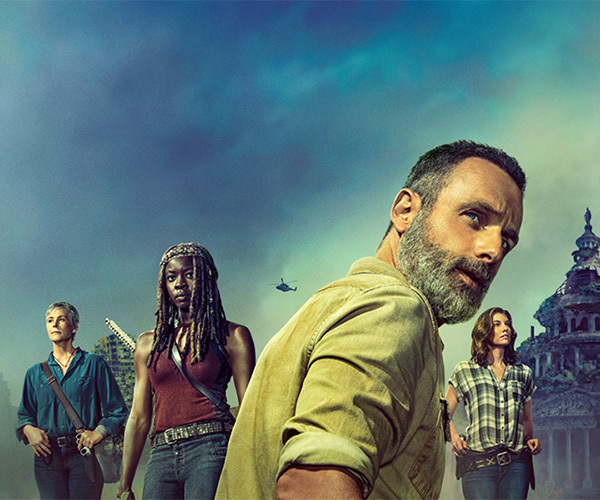 The thing in question is the “All Out War” with Negan and the Saviors, but the necessary end of “The Walking Dead” as a series is nowhere in sight. And that’s the problem. “The Walking Dead” comic book creator Robert Kirkman, an executive producer of the television series, has created a database of source material encompassing 170-plus comics and counting, with issue 300 as the possible endpoint. Season 8 takes the comic-book story up to the early 100s, so there’s a tantalizing amount of original Kirkman content still left untouched, sitting there as the ultimate storytelling security blanket for the new showrunner and her room of writers. And there’s the sibling, “Fear The Walking Dead,” heading for Season 4 in 2018, with the crossover character Morgan (Lennie James, another Brit) set to leave the original for the spinoff. But open-ended content is a mixed blessing at best. So far, Gimple and his writing room have deprived themselves of the ending promised with the very first episode, when Rick—left for dead—awakes in a hospital to find a zombie-infested world that has swallowed up his wife, his family, and his life as a Deputy Sheriff in a suburb of Atlanta, Georgia. By the end of the mid-season finale—Season 8, episode 8, at the 88th minute—I was ready to throw away years of investment in this show because it refuses to go bye-bye. In such a godless world, the showrunner and her writers will continue to tell a story that goes on and on and on instead of simply facing up to the inevitable expiration date. For a television series like “The Walking Dead,” the only thing worse than death is life everlasting.